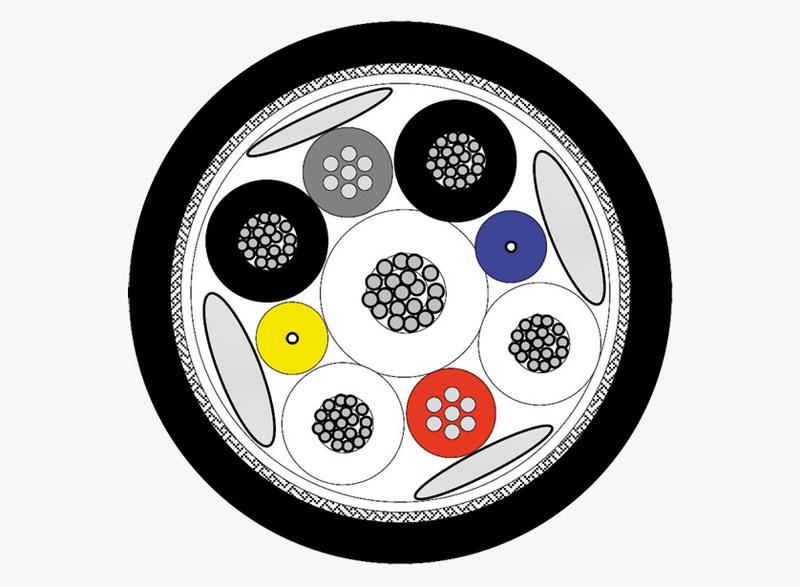 A hybrid cable containing single-mode fibre optic and copper cores, meeting the SMPTE311M standard for HDTV camera connections. It handles video, audio and control signals plus powering between camera and base units. 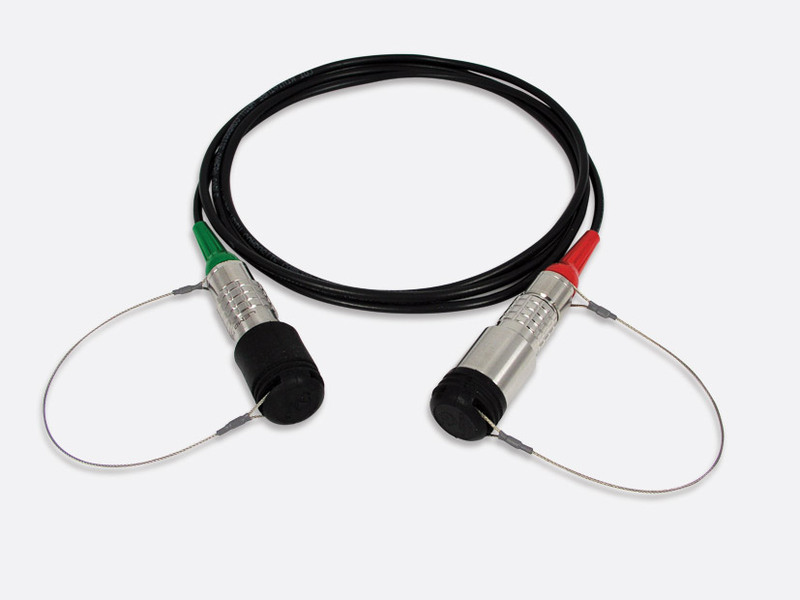 It is suitable for use with the special hybrid connectors produced by manufacturers such as Canare and Lemo. OCC offer two 9.2mm versions, 'Essential' and 'Tactical'. 'Essential' is designed for indoor use and occasional outdoor deployment, whilst 'Tactical' draws on OCC's considerable experience in making military grade fibre cables, and is for harsh outdoor deployable applications. A reduced diameter (7.8mm), extra-flexible version is designed specifically to allow cameras to move quickly and frequently and is especially suited to robotic camera applications. This has the same fibre as the 9.2mm types, but smaller copper cores. The strength member is aramid fibre rather than steel, which helps the cable achieve a weight that is only 70% of that of the 9.2mm types. Auxiliary conductors: Four cores 19/0.2mm (0.6mm sq.) tinned copper wire, insulated with HDPE, black, black/white, white/black and white. Signal conductors: Two cores 7/0.2mm (0.22mm sq.) tinned copper wire, insulated with HDPE, red, grey. Fibre optic cores: Two bend-insensitive cores (to ITU G.657A) single-mode fibre 9 micron diameter, cladding 125 micron diameter, with UV-cross-linked acrylate 245 micron coating (500 micron in 'Tactical' version), and 0.9mm diameter thermoplastic outer; blue, yellow. Strength member: One galvanised stranded steel wire reinforcement (1.32mm sq. ), PU insulated, laid centrally. Lay-up: Conductors and fibre laid up around steel wire, packed with fibrilated polypropylene, wound overall with paper tape. Tinned copper wire braid screen, 95% optical coverage. Outer Jacket: TPE ('Essential' type) or PU ('Tactical' type), 9.2mm OD, black. PU ('Flex' type), 7.8mm OD, black.